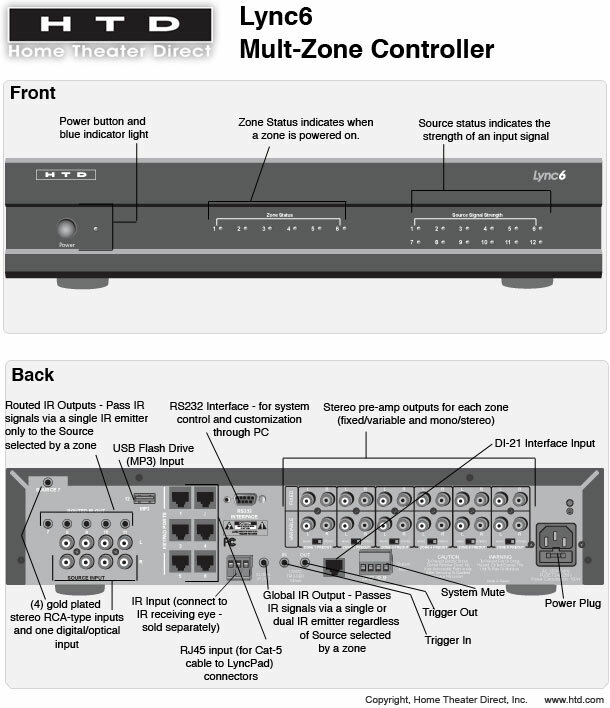 6 zone, 12 source whole-house audio controller with intercom. The "brain" of the Lync system. Version 3 (v3) includes a 3.5mm analog/optical audio input coupled with a built-in high-end DAC (digital-to-analog converter), feature enhancements for intercom and doorbell, and is Phone-to-ZoneTM ready! H x W x D: 4" x 17" x 10.5"